The Ocean Foundation commits to building international capacity to address ocean acidification through four types of actions: monitoring, analyzing, engaging and acting. 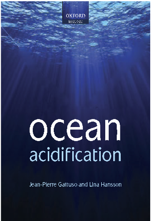 Ocean acidification is causing rapid changes in chemistry, and these changes are not consistent across the globe. The first step to fighting ocean acidification is to monitor our waters so that we can better understand how, where, and how quickly the change is occurring. We have tools to monitor both the chemistry such as the change in pH and the biology like the change in algae distribution. Right now, entire regions of the ocean have limited or no capacity for such monitoring. 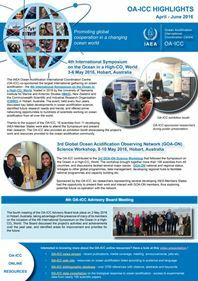 The Ocean Foundation will work to increase monitoring capacity by providing training workshops for early career scientists, deploying tailored kits that enable monitoring efforts, and by supporting the Global Ocean Acidification Observing Network (the GOA-ON). Once we have data, we identify patterns and conduct experiments informed by real world conditions. With enough experimental data, we produce models that help us predict future scenarios so that we know where, how, and when to act. The Ocean Foundation will support training on how to design experiments that help us better understand how ocean acidification might affect economically, ecologically, and culturally valuable species, and the communities that depend on them, and the building of models and forecasting systems that give us predictive abilities and the power to adapt. Armed with data and a scientific understanding of the threat, we engage stakeholders with a compelling story of what ocean acidification could mean to them. We work with fishers, shellfish farmers, and others in coastal communities to interpret how the changes will affect them, and we work with policy makers to demonstrate how their constituents and the economies of their districts might be affected. The Ocean Foundation will work with community groups and legislatures across the world to help bring attention to ocean acidification and its potential impacts. By building a coalition of stakeholders stakeholders who are armed with strong science we have the power to act. The Ocean Foundation will work with legislatures around the world to craft legal language that addresses ocean acidification from the local level to the international level. We develop legislation that both helps mitigate ocean acidification through reduction of CO2 pollution or blue carbon restoration, including plantings of seagrass, mangroves and salt marsh grasses and adapt to ocean acidification through programs that provide the tools and resources needed by those industries being affected now, such as early warning systems and tools for reducing mortality at hatcheries. The Ocean Foundation, The Ocean Conference (official website). Statement.